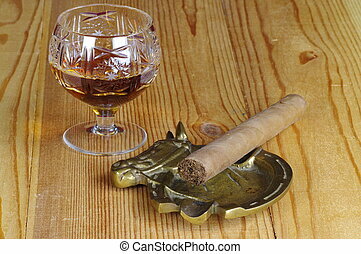 Handmade cigar, cognac in a crystal glass, and old brass ashtray on a wooden table. 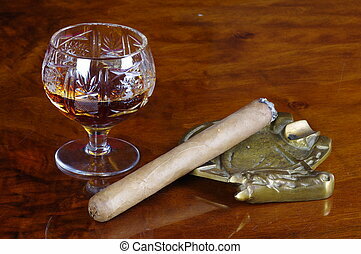 Handmade cigar, cognac in a crystal glass and old brass ashtray on a wooden table. 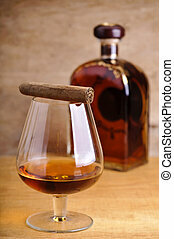 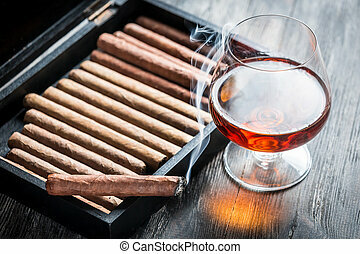 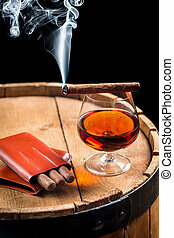 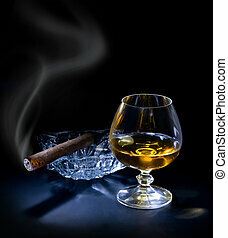 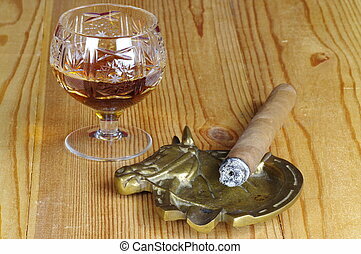 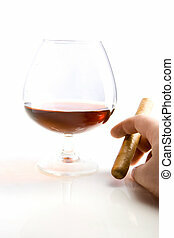 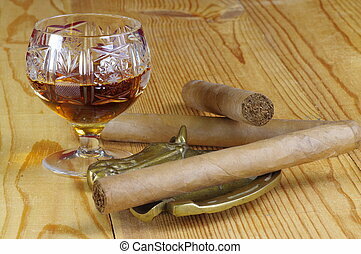 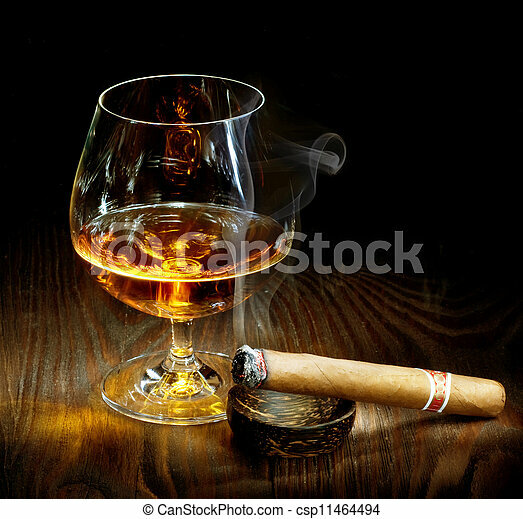 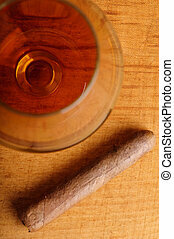 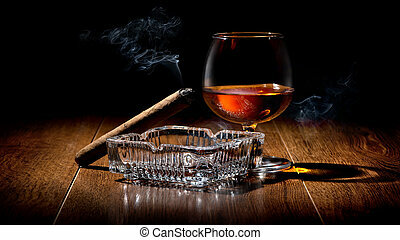 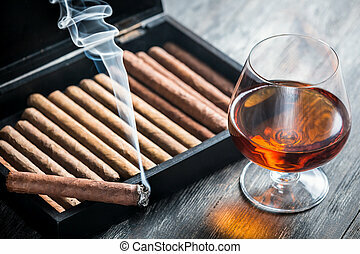 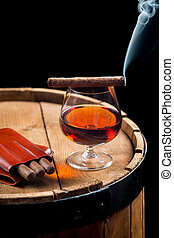 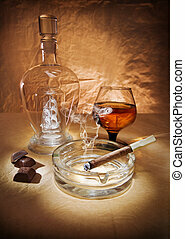 Burning cigar, cognac in a crystal glass and old brass ashtray on a wooden table.